Elena Chaschina reposted PDF Zephyrous Mishka. A free master class, the scheme and the description for knitting of a plush toy of an amiguruma a hook. We knit toys the hands! FREE amigurumi pattern. 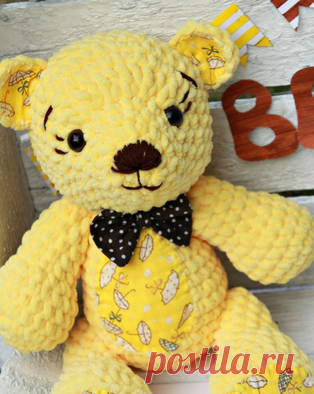 #амигуруми #amigurumi of #схема #описание of #мк #pattern of #вязание #crochet of #knitting #toy of #handmade #поделки of #pdf #рукоделие of #мишка #медвежонок of #медведь #bear of #teddy #teddybear of #plush #плюшевый to Free schemes of toys of an amiguruma. Elena Chaschina started following We knit a hook by Elena Fominyih. Elena Chaschina started following Knitting by a hook by Valentina Rudenko,Zasuhina. Elena Chaschina started following Knitted clothes hook and spokes by Yuliya Petrenko. Elena Chaschina started following Knitting for beginners by Mariya Kuznetsova. Elena Chaschina started following knitting by a hook by Tatyana Rogachiy.